Room dividers are an important aspect in any home, for they help in directing foot traffic, defining separate spaces as well as create a sense of privacy. While such partitions are typically opaque, they can sometimes block out light and make a space feel small and confining. However, if you want to divide a room without losing too much light, here are some semi open-concept ideas you can consider. 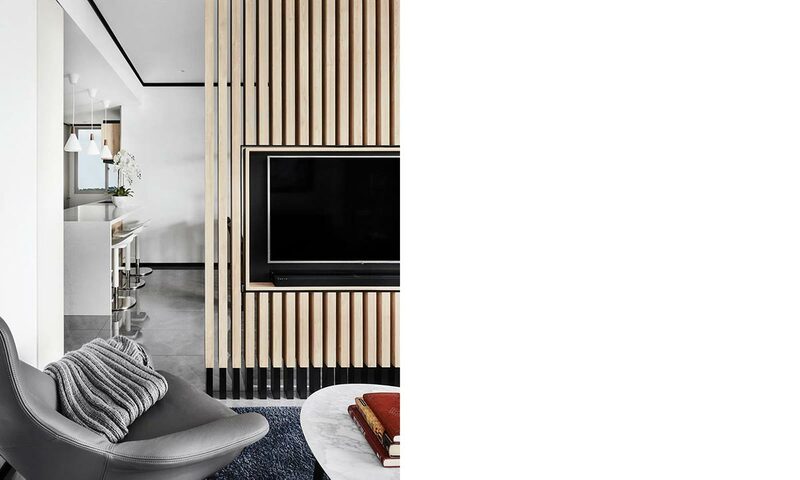 Whether in a vertical or horizontal alignment, wooden slats are a great way to subtly demarcate various rooms in a home while still allowing plenty of natural light and ventilation to wash through the space. 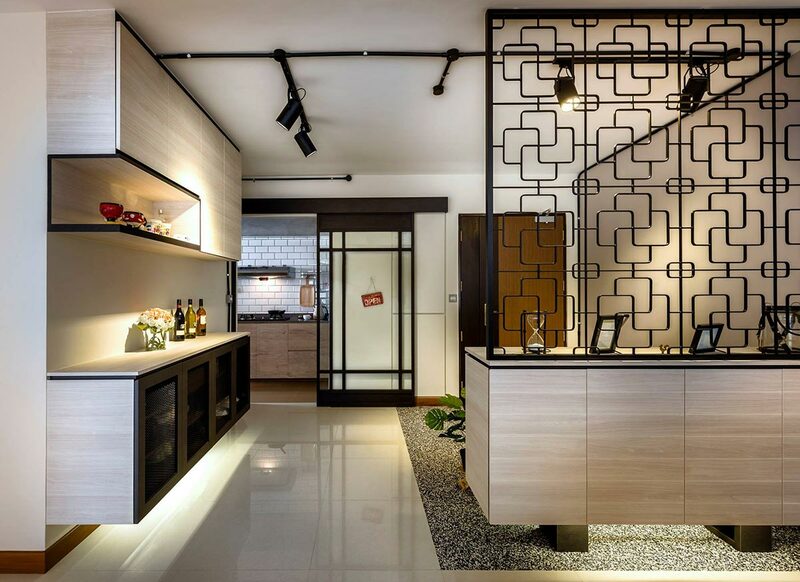 Not only that, the design also feels very architectural, which instantly injects visual interest into your home without you having to put much work into it. 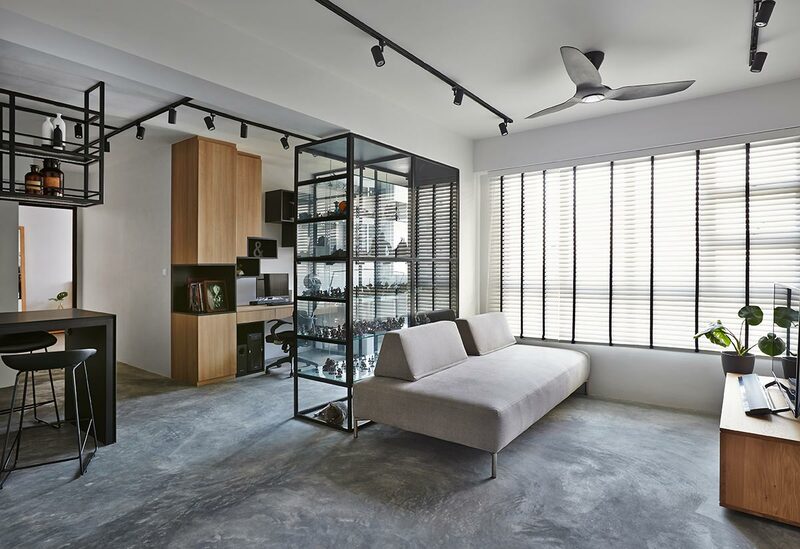 Given the decreasing square footage of homes in Singapore, framed glass panels are a popular choice as a room divider for homeowners here. Why? 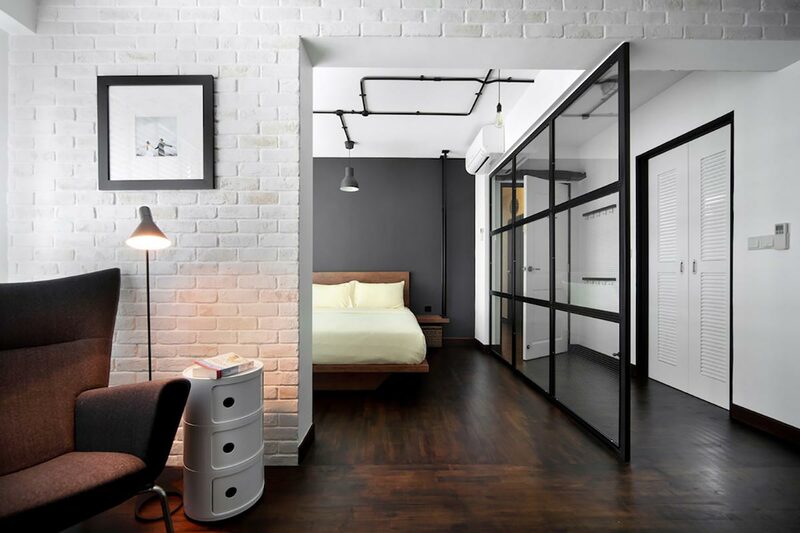 Because these glass-and-black steel partitions only separate two areas physically, not visually. This in turn allows light to reach every nook and cranny within the apartment, which is a major contributor to making a smaller home look and feel much bigger. They are usually installed as external structures to keep your home cool, but whoever said that glass louvres can’t be used as room dividers inside the house? Made up of a series of individual angled slats, this particular option offers much design flexibility, where users can choose to flip open however many slats they want to based on their preferred privacy levels. Besides partitioning out the various sections of your home, room dividers can also add a decorative element into your spaces. Case in point: metal grilles. Available in all sorts of customisable designs, these dividers carry with them an air of old-school glamour, and are perfect for adding visual interest and privacy to a space. 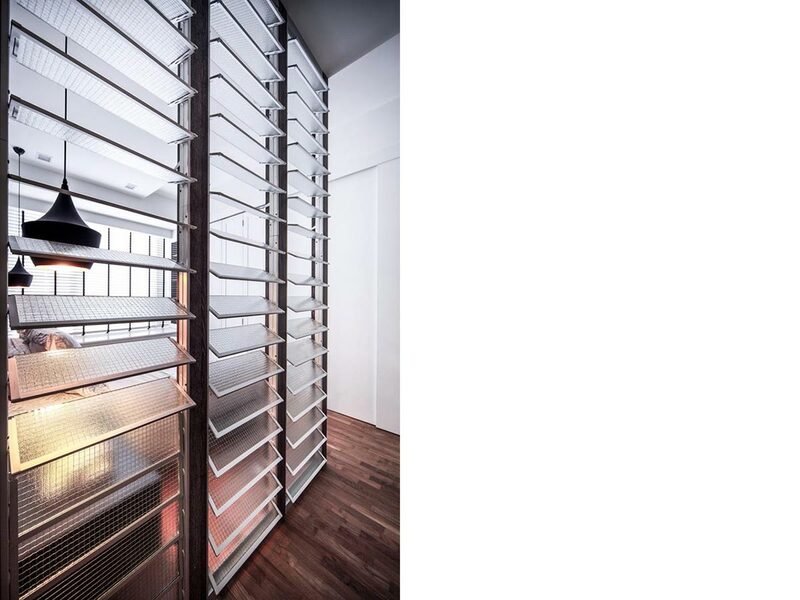 However, do note that because of Singapore’s fluctuating temperature and humidity, it’s best to ensure that the grilles you choose are powder-coated to prevent rusting. Especially where smaller homes are concerned, multifunctional design fixtures score high on our list, and there’s no reason why room dividers can’t serve a dual function too. As seen below, instead of standard panel dividers, a full-height display case was installed between the living room and the study. By doing so, the home was provided with additional storage space, while natural light is still allowed to regulate through via the see-through glass panels.